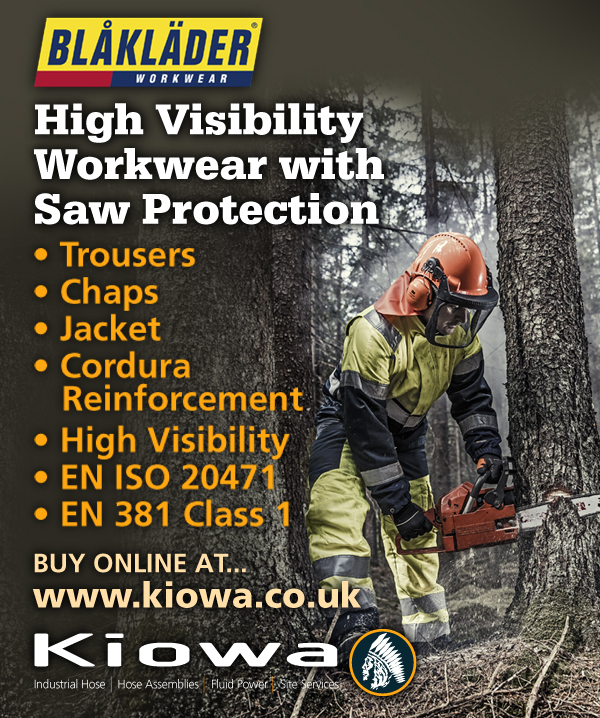 NEW online Blaklader workwear Chainsaw / Saw protection clothing. Saw protection trousers are something that has been requested often by Blaklader’s end users. That is why they have now produced a collection of saw protection garments containing trouser and chaps with matching jacket. Both the ‘1920’ trouser and ‘1915’ chaps are being produced in a light and smooth material with six layers of saw protection and Cordura reinforcement on right thigh and leg closure. They are both certified according to EN ISO 20471 protective clothing with high visibility and EN381-5, class 1, protective clothing with saw protection-leg protection. The 4905 jacket is produced in durable beaver nylon, matching both trousers and is certified against EN ISO 20471, protective clothing with high visibility. NOW available to buy online at www.kiowa.co.uk with volume discounts, Loyalty Points and free UK delivery when you spend over £50.00.